Just weeks after my mother passed away, my father has now left this world, too. 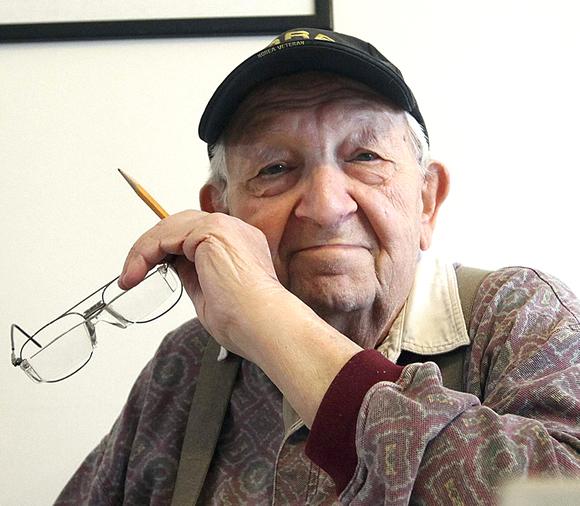 Al Beck, an artist and teacher whose passion for art and education was widely influential, died at 11:15 p.m. on May 16. 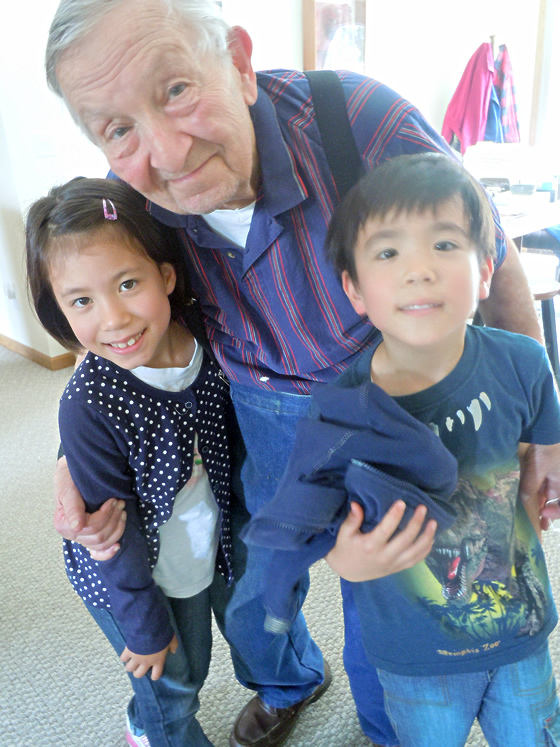 In late March, I hurried back to the U.S. to see my mother and say goodbye. She passed away the day after I arrived at my sister’s house. In fact, the day my sister and I drove to see him was April 4, his birthday. When we got there, we found him celebrating with the president of the college where he had been an art professor for many years. There were balloons, gifts, and cake and my father was in a spirited mood. I then pushed his wheelchair down the hall toward the library, where we were told some others had gathered to see him. It turned out that people from the local arts council had come to present him with a “lifetime achievement award” for his long career. My father was surprised and delighted. After that, my sister and I joined him for lunch in the dining hall. There, I offered the letters that my wife and my kids had written to him. He started reading Lulu’s letter but soon grew tired so I read out the rest of her letter and the other two…though I had to pause, repeatedly, to get through them. After lunch, I wheeled him back to his room. 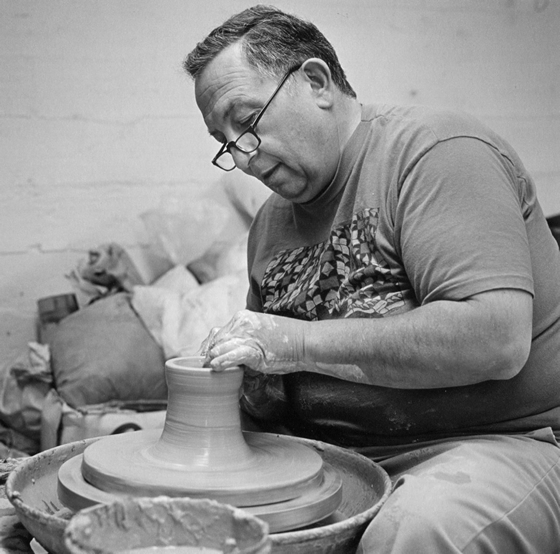 He gave me a big ceramic cup that he made years ago on his potter’s wheel. At that point he became sleepy, even nodding off in mid-sentence. After he lay down on his bed, my sister and I hugged him and gripped his hands. We said we would go now, let him rest. His eyes closed; a moment later, he seemed to be sleeping. And I leaned down, putting my forehead to his, and wept. In the end, what else is there to say? Then he drifted off to sleep, breathing heavily. 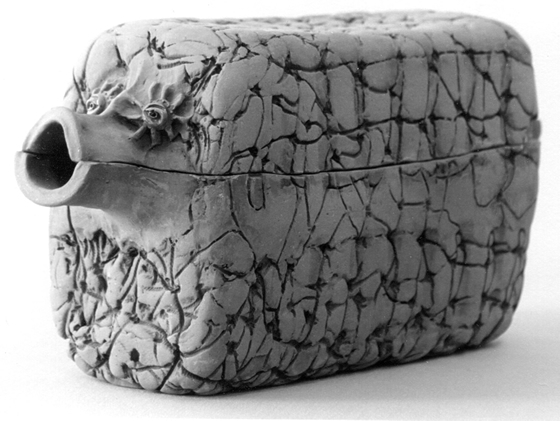 It was much like my mother’s last days—eyes closed, so weary. I stood watching, sensing this was the last moment I would ever see him… And then I left the room, closing the door softly behind me. I spoke to him by phone several times after I returned to Japan and it was clear that he was steadily fading. Then, last week, his condition deteriorated quickly and before I had a real chance to consider hurrying back…he was gone. 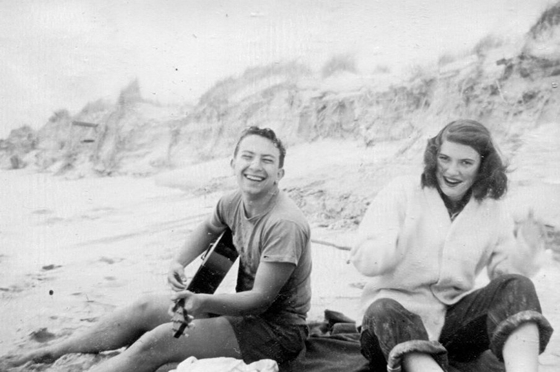 What strikes me now, with the passing of both my parents, one after the other, is how life in this world—as wonderful as it can be—finally becomes a weary decline, both physically and mentally, and that, ultimately, release from our adventure as human beings is truly a form of grace. We breathe, our heart beats, and we make the most of our brief mortal lives by experiencing and producing as much joy as we possibly can. 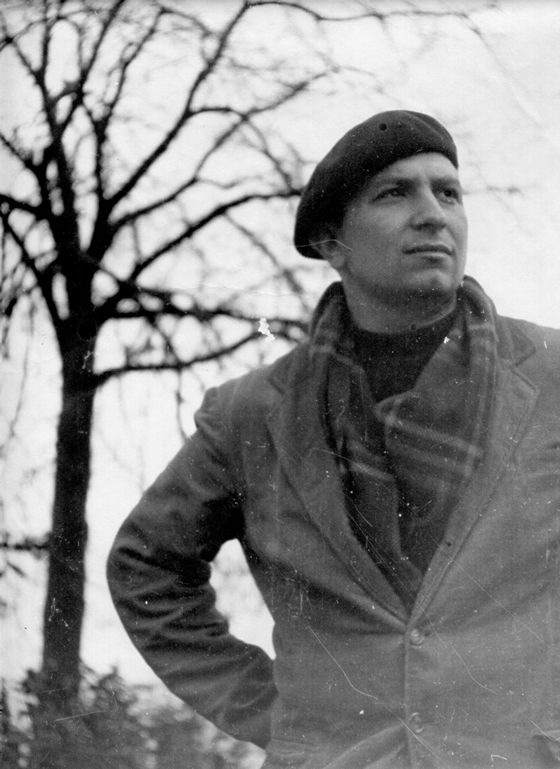 Al Beck, an immensely passionate and creative soul who had a profound impact on my life and the lives of so many, was a special force of joy until the very end. In fact, my sister and brother told me that he was singing the day before he died. He was singing songs without the words, which he had already lost, still giving voice to that undying joy inside him. With the last breaths of his life, he was singing. 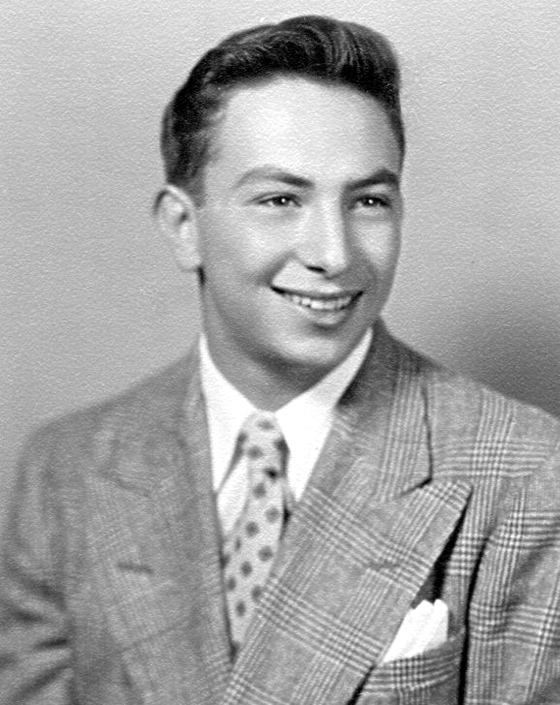 He graduated from high school in 1949. 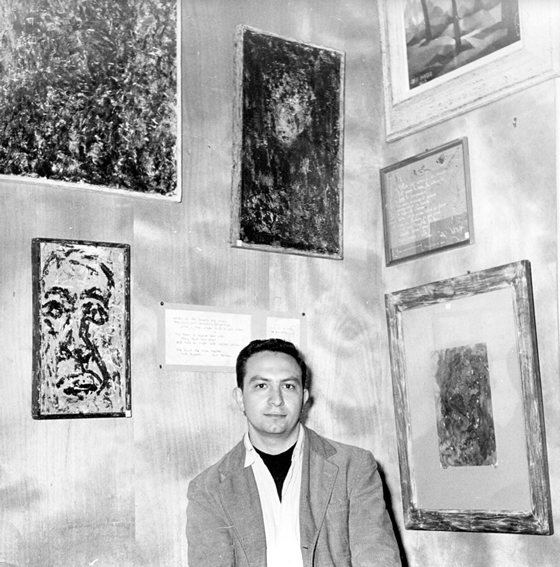 He went to Northwestern University and studied art. 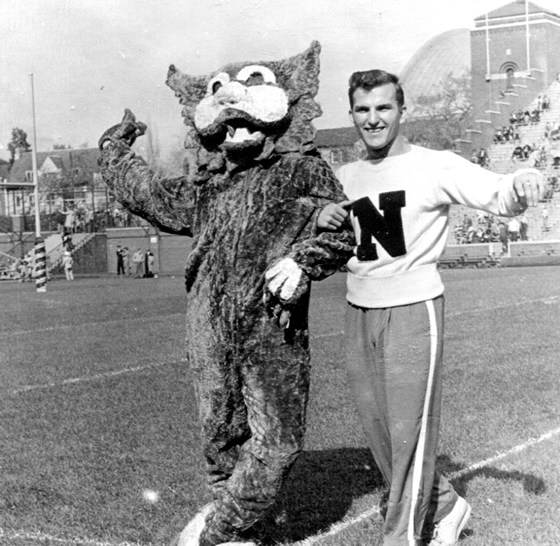 He also became the team mascot, proudly wearing the “Willie Wildcat” costume. 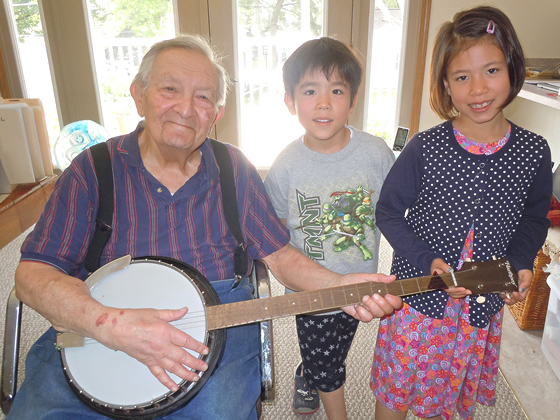 He learned to play guitar in his youth and spent the rest of his life singing folk songs while strumming the guitar and banjo. 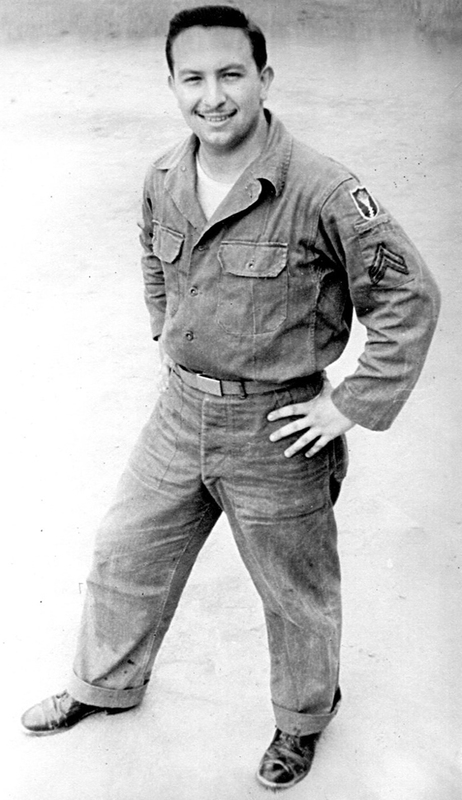 He was drafted into the U.S. Army in 1953 and served as an intelligence analyst during the Korean War. 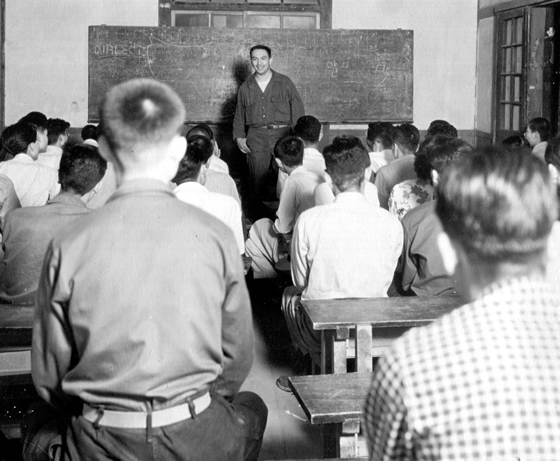 During this time in Korea, he also taught night classes in English at Daegu College. 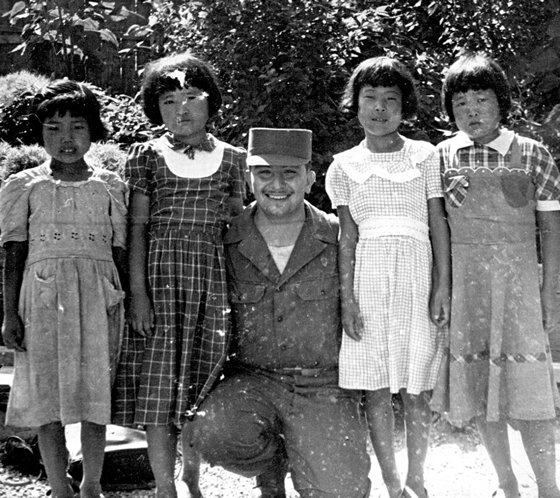 And he developed deep feelings for the Korean war orphans he came in contact with. He attended both the Sorbonne and the Academie de la Grande Chaumiere in Paris. 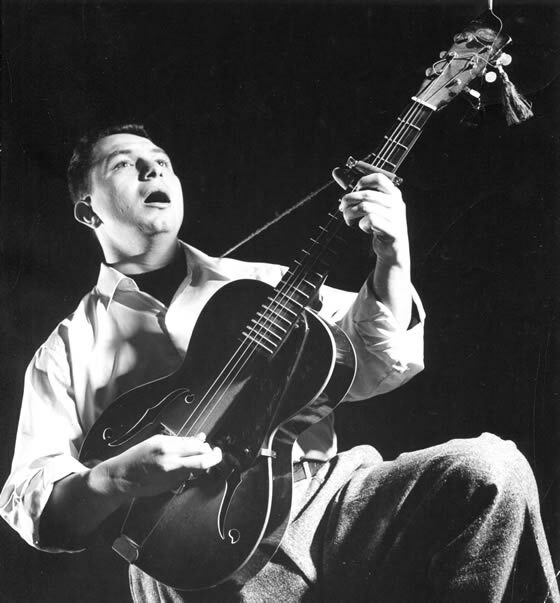 He also toured France as an American folksinger with the U.S. Information Service. I came along a few years later. While teaching art at the high school and college levels, he also took on the role of waterfront director at Camp Taconic, in western Massachusetts, where my family spent many happy summers. 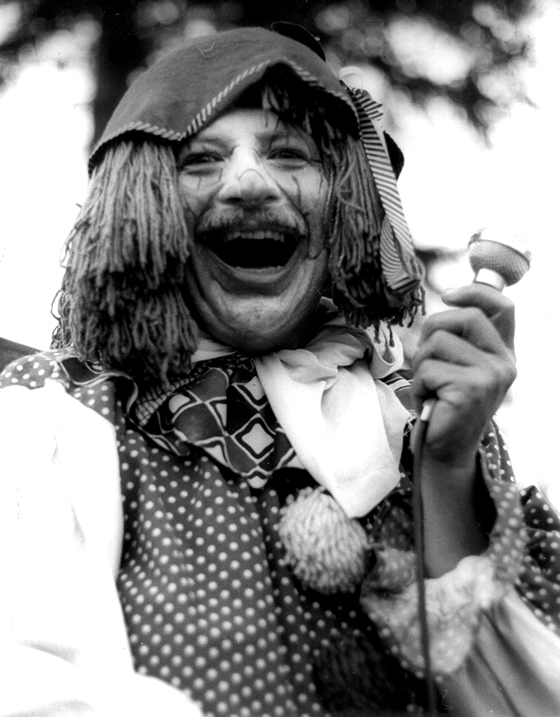 Some of my fondest memories from childhood involve his fun-loving antics at that camp. 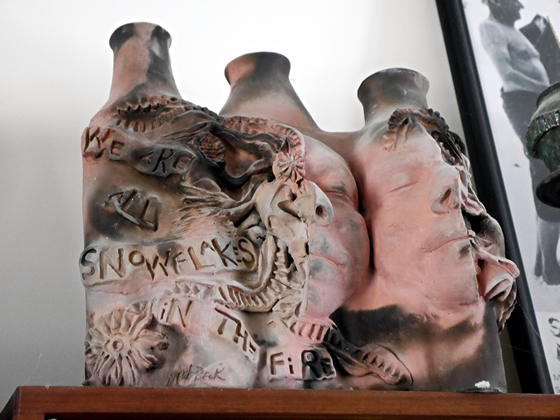 At the same time, he was a serious and prolific artist who worked in a wide range of media, including ceramics, drawing, photography, papercasting, fabric design, glass fusion and casting, assemblage, graphic design, printmaking, painting, and cinematography. 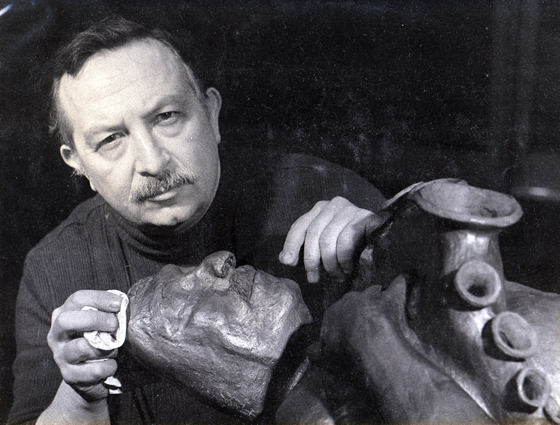 He loved working with clay. 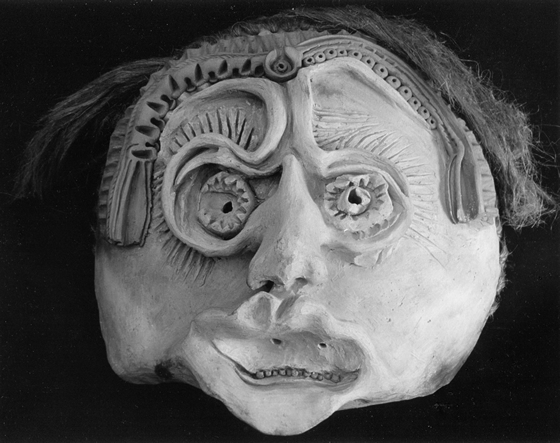 This piece is from a series of striking ceramic masks that he made. 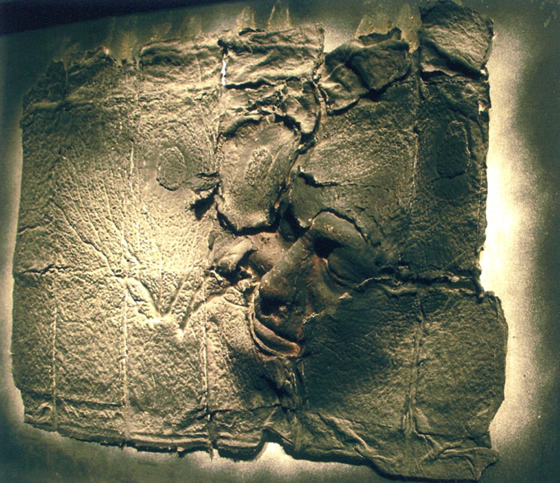 This piece is a papercasting, and, like a number of other pieces he created over the years, incorporates his own face. 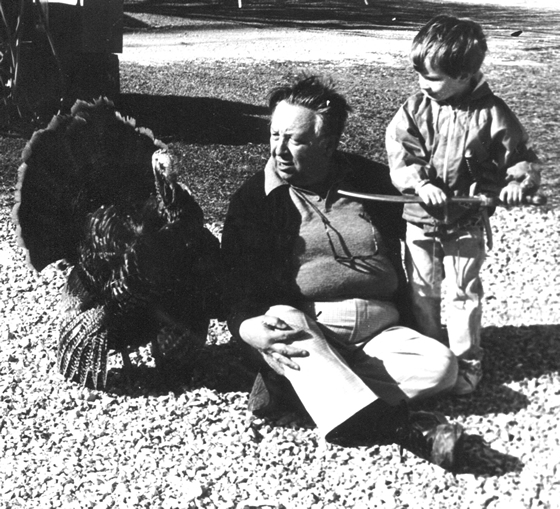 A fascinating photo of him, with a large turkey and a small boy wielding a sword. I don’t know the backstory, or what it all means, but maybe that’s beside the point—it’s just strange and wonderful in its own way. 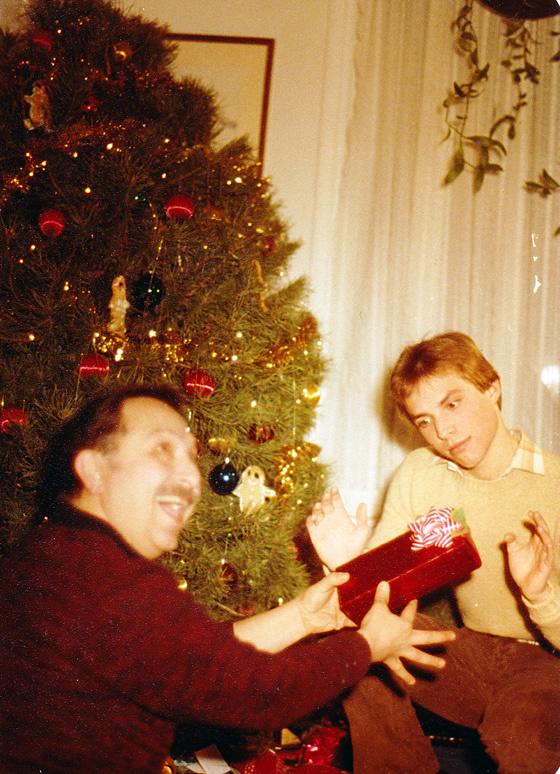 I think the greatest gift he gave me was his playful, merrymaking spirit. 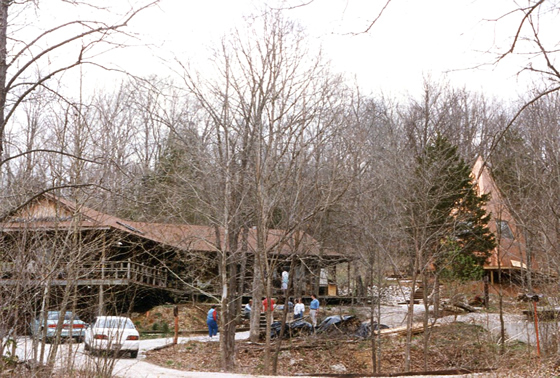 He eventually remarried and settled into this home in the woodsy countryside of northeast Missouri. 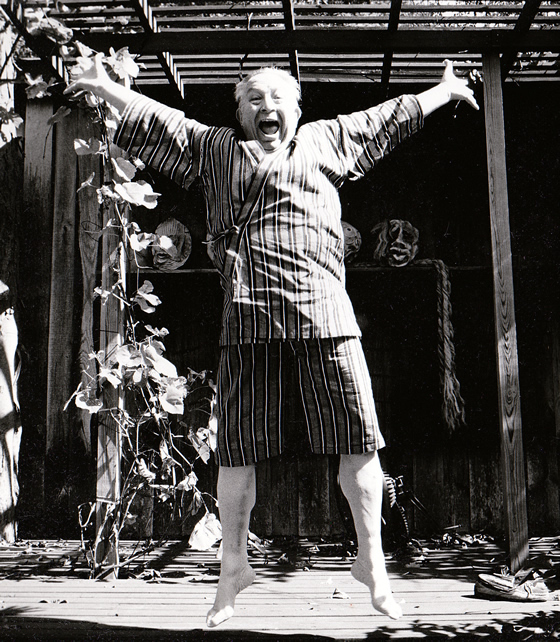 It was a Japanese-style earth shelter home that he designed, along with a personal art gallery, to the right, that he christened the Pyrapod, He loved the peace and inspiration of the natural world around him. 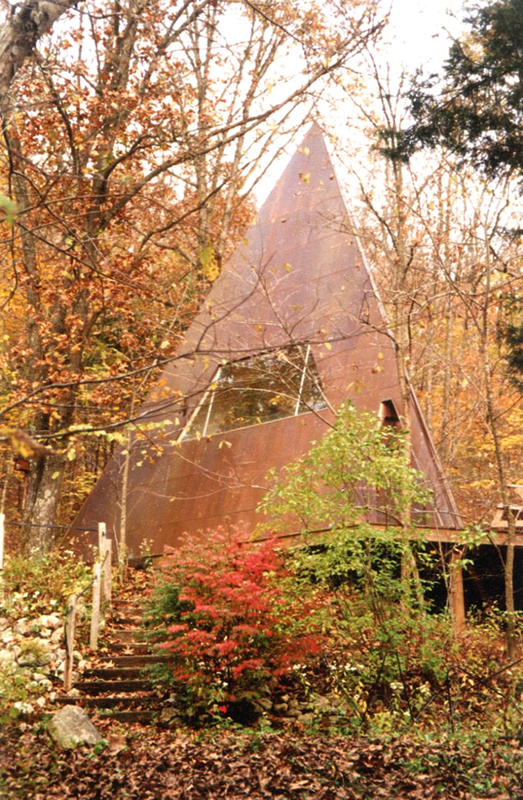 Inside the Pyrapod, a triangular building wrapped in copper sheeting, he displayed his art work and his wife’s photographs. She was a talented photographer who passed away several years ago. 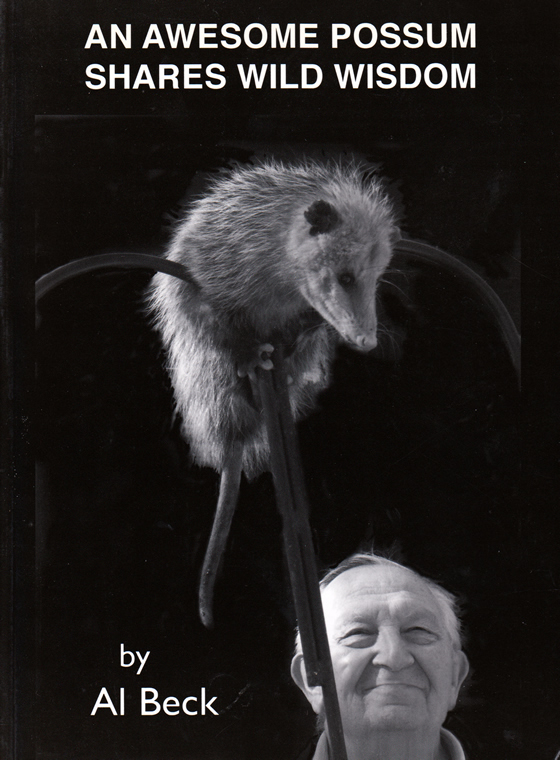 Over the past few decades, he also wrote and published 30 books of poetry, song lyrics, essays, drawings, and photographs. 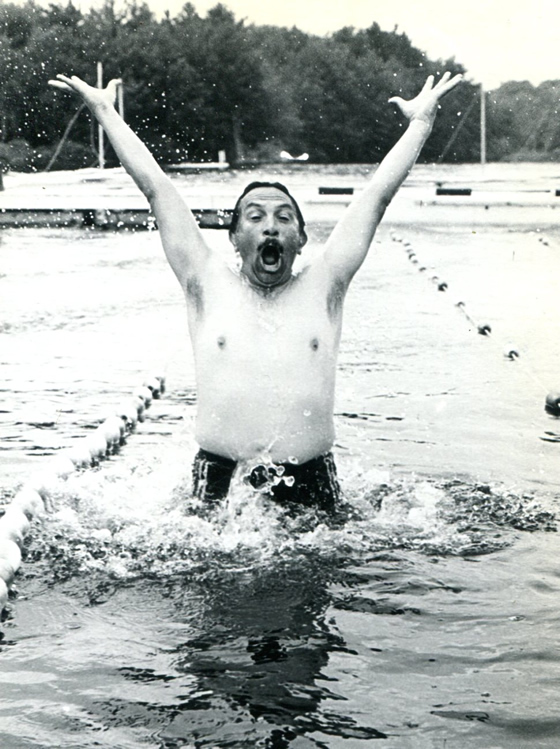 My favorite photo of him, which conveys the great exuberance and joy with which he lived his life. My father was always delighted to see my kids, and they were delighted to see him…but I’m afraid those times were too few. Telling them this sad news was so hard, so painful. These photos, and the video clip below, are from our trip to the U.S. in June 2013. To learn more about my father’s life, please see his obituary (which was compiled by my brother). 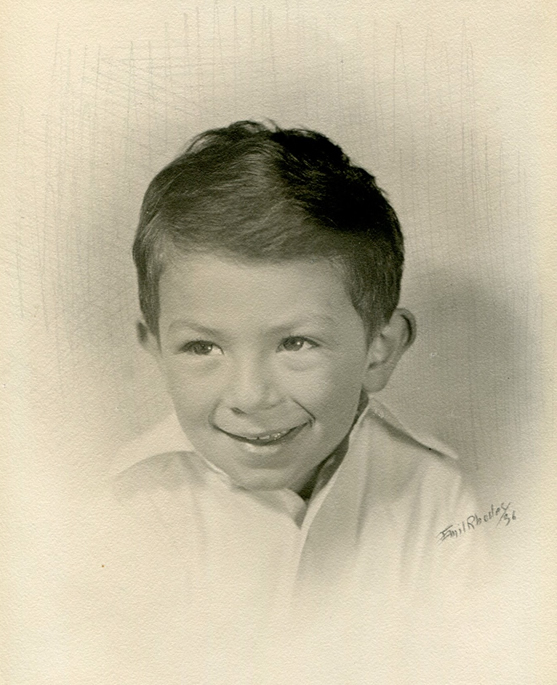 In an earlier post, Creative Solutions to Challenges Raising Bilingual Children, I shared a memorable story about my father that has long had a powerful impact on my own creative thinking. For a similar tribute to my mother, with photos and video, please see this page. I’m so sorry to read this news, so soon after your mother passed away. I’m glad to read you got those last special moments to share and speak with him. He must have been a great person. I’m so sorry Adam for your loss. He sounds wonderful and I’m glad you managed to have that last conversation with him. I am so sorry for this loss for you and your family. What a talented and special person he obviously was. I was touched by your description of both of your parents. They seem to have led rich, full lives. I’m now praying for your comfort and that you and your family would draw closer during this time. Very beautiful written tribute, both your parents had an amazing life. Dear Adam, I’m so sorry about your loss. Thank you for sharing these special memories of your Dad. I am so very sorry to hear of your sad news Adam. Hope you may find some comfort in remembering what a full life your dad and mum seemed to have lived. Just through your videos and your dad’s video, I can see the similarities between the two of you. Love to you and your family. Thinking of you and your family, Adam. What a great blog post, he looked like such an amazing, creative and caring man. I love the video, such great memories for your kids. Sending big virtual hugs. Really sorry to hear about your loss. Losing a father, whatever age we are, is always so hard. But I am happy to see that he really enjoyed his life and you know how to cherish that. Loved your blog post!!! I am so sorry for your loss. It is comforting to know that you managed to spend what sounds like some very special moments toward the end of his time here. He seemed to have led a very full life, one well worth celebrating. Our thoughts go out to you in this difficult period. So sorry to hear the news about your Dad. I can see what wonderful parents you had and where your creativity comes from. Carry on making them proud, that’s your best homage to them. I’m sorry for your loss. Thanks for sharing your dad’s story and photos with us. I am so sorry for your loss, Adam… Please take good care of yourself in this period of grief. But I am sure your daddy is singing away in the heavens above. I’m really sorry for your loss. I enjoyed reading about your father’s amazing life. Truly inspiring! You can be really proud of his achievements. I was so sorry to read about your dad’s passing, especially so soon after your mom’s, Adam. But I’m glad you were able to say goodbye and have a heartfelt conversation with your dad the last time you saw him. He must have been an amazing man; joyful and talented. I love the pictures you posted of him. Sending you and your family a big hug from across the world. Hi Adam! I’m deeply sorry for your loss. It is good to know you could recently visit him and that he will have a great place in your best memories. Adam, I am so sorry for your loss. As with your mom, I find your post about him very beautiful, one can feel your love for your parents reading both posts. I’m very sorry to hear about the passing of your mother and father. My deepest condolences to you and your family. Sending you best wishes and positive energy in this very difficult time. I am very very sorry for your loss. Reading your tribute to your father made my eyes water. Please be strong for these hard times. You are a good son raising their beautiful grandchildren. Your father, like your mother, looked like such an interesting, talented and fun person. I’m sorry you lost them both so close together. A beautifully written tribute. Adam, I am so sorry to hear about your loss. Both your parents sound like amazing people that brought so much to the world. Your tributes made me smile at the thought of all the joy they brought and all the good things they leave behind. Sending hugs from the UK. I am so sorry for your loss. Be strong during these sad moments. Your tributes to both of your parents are beautiful beyond words, and the memories forever treasured. Sending hugs from the USA. 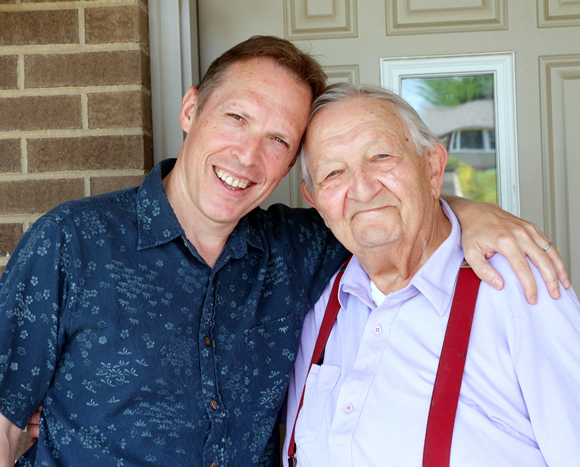 Adam, Thank you for sharing these beautiful and touching memories of your father. Thinking of you and your family and wishing you all the best. My condolences, so sorry for the loss of your father, and so sad, so shortly after having to miss your mother. Thank you for sharing your beautiful tribute with us. Despite the sadness of missing of a very dear person, he caused wonderful memories, which keep on being here, of a long and wonderful life. So sorry for the loss of your two precious parents. Both your posts were so beautiful and expressed so well the feelings of love, pride and gratefulness you have towards them – well deserved, they seemed truly amazing people and they’ve obviously done an amazing job as parents with you. I can relate to your feeling of not having spent enough time with you. I am lucky enough to still have both my parents but my partner has lost his mum a year ago and it still pains me that we hadn’t seen her for a while. But you still showed you cared and have done a fantastic job at keeping this precious link with your children, so really, that’s what matters. Thank you as well for your beautiful articles. Next post: Feeling Discouraged About Raising Bilingual Children? Watch This Video.